We've designed a series of clever ways around Chromecast's shortcomings: you do need to use your phone to pair your Chromecast, but once completed, you can put your phone away. Simple, powerful, and easy! The first time someone tries Google's Chromecast, it's nothing short of magic. You plug it into your TV, you connect it to a network, and boom - there it is. Magically appearing content, easy as pie. Most people use Chromecast at home, for streaming (or 'flinging content' as the cool kids call it these days) things from your Chrome browser, from Chrome OS, or from a phone. But that isn't all the Chromecast is good for. If you're in the digital signage space (and you probably are, because why else would you be reading this? 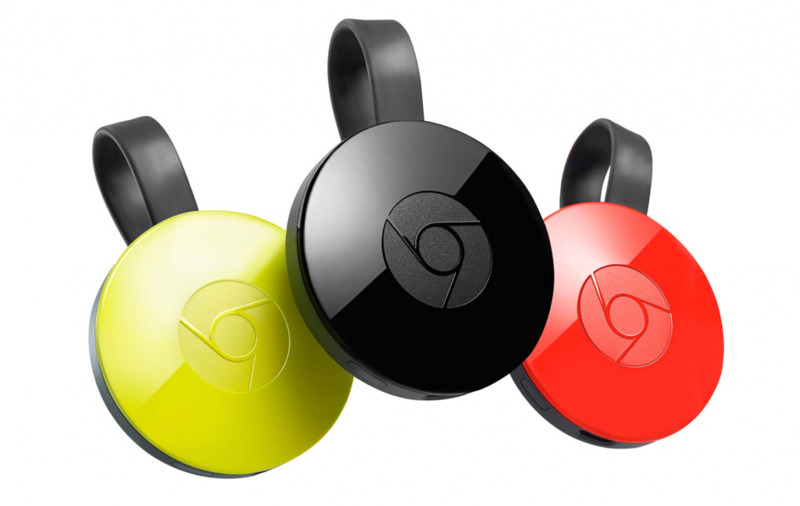 ), you're probably wondering whether you can leverage the power of the Chromecast - and especially the new Chromecast devices Google just announced - for digital signage uses. 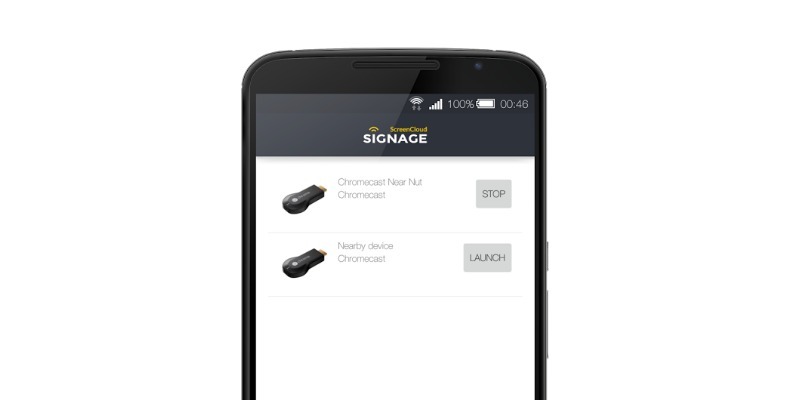 Can you use Chromecast for digital signage? The answer is yes, with a special app that we’ve developed called ScreenCloud Remote. The crux of the challenge (and why we’ve developed this handy middleman) is that, at the heart of it, the Chromecast is a pretty dumb device. It is not particularly powerful, and has minimal storage - instead, it mostly relies on the processing power and rendering power of the device you use to fling content to it. Yes, that means that your Android phone probably is a hell of a lot more powerful than your Chromecast device. The other problem is that the Chromecast is really just a display device, and you can't really install apps on the Chromecast. That's not really a problem if you want to watch YouTube on your TV instead of on your phone, but it is a challenge if you want to run digital signage. The average duration of a digital sign is a lot longer than even the most ambitious of YouTube binges and apps also allow you to add social media, news, weather and more! The ScreenCloud Remote app allows you to use your phone to pair your Chromecast to your ScreenCloud account and once the pairing is complete, you can put your phone away. Unlike streaming from YouTube or from your phone, the pairing app makes a connection directly from our powerful Cloud architecture to your Chromecast device. Once you’ve paired the screen with your Chromecast once (via the smartphone app) you’ll never need to do it again. Allowing you to use your Chromecast to showcase any content you like directly onto your screen. Please note: The Multi Zone Layout feature does not work with Chromecast. If you are looking to specficially use multiple zones, please take a look at one of our other devices. To set up your Chromecast with ScreenCloud, follow these simple steps. The ScreenCloud Remote app can be downloaded to your phone or tablet regardless of operating system. For Android phone users, you can download ScreenCloud Remote from Google Play. If you’re using iOS, grab ScreenCloud Remote from the App Store. 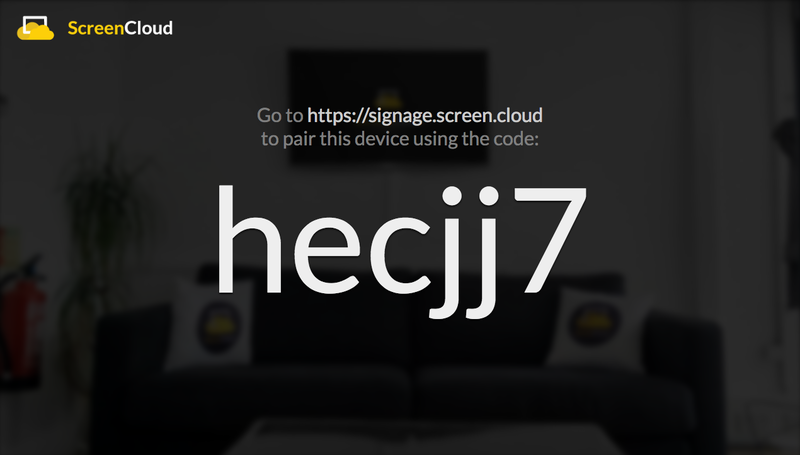 This app can be used to connect any ChromeCast device to ScreenCloud Signage. In order to pair ScreenCloud Remote with your Chromecast, you’ll need to ensure that they are both connected to the same Wi-Fi network. To add your Chromecast to Wi-Fi (if it isn’t already) follow this simple setup guide. Then, ensure that your smartphone is also connected to the same network. Once both devices are on the same Wi-Fi network, open ScreenCloud Remote on your phone and you’ll see a screen showing all of the available devices. This allows you to cast to multiple devices at the same time. Click ‘launch’ next to the chosen Chromecast to pair the two. Once you’ve launched the Chromecast on your smartphone, you’ll see a pairing code that looks like the below. Jot this down - you’re going to need it very shortly! Next, you’ll need to sign up for a ScreenCloud account at https://screen.cloud on your PC or laptop. Once you’ve logged in (and hopefully taken advantage of our 14-day free trial) head to ‘Screens’ and choose ‘Add screen’. Here you can enter the pairing code and name your screen and that’s it! With a few simple steps, your Chromecast is able to stream content directly from your account (in the cloud) to your TV screen, PC or device of choosing. Of course, having your Chromecast setup is all very fine and dandy but you also need great content to show through it! For that, we’ve created the step-by-step video below to guide you through adding content and apps, setting up playlists and diving into schedules. And because you’ve done the hard bit already, you get to skip to 1 minute 19! If you've already been using the Chromecast you may have come across the rather annoying situation where Chromecast disconnects your screens without you realizing. Luckily, we've found a solution with the Caster app. Head to https://release.screen.cloud and download the Caster app for Mac or Windows. The Caster app runs in the background of your laptop or PC and will auto-reconnect any Chromecasts it detects on the network as and when needed. This prevents your Chromecast from disconnecting your screens, so that you can be confident things will keep ticking along nicely, even when you're not there. Despite the Chromecast being slightly more tricky to setup, ScreenCloud has you covered with your trusty smartphone as the middleman and Caster app to help keep you connected!